Exciting news! ICFY is proud to host Prof.Dr. 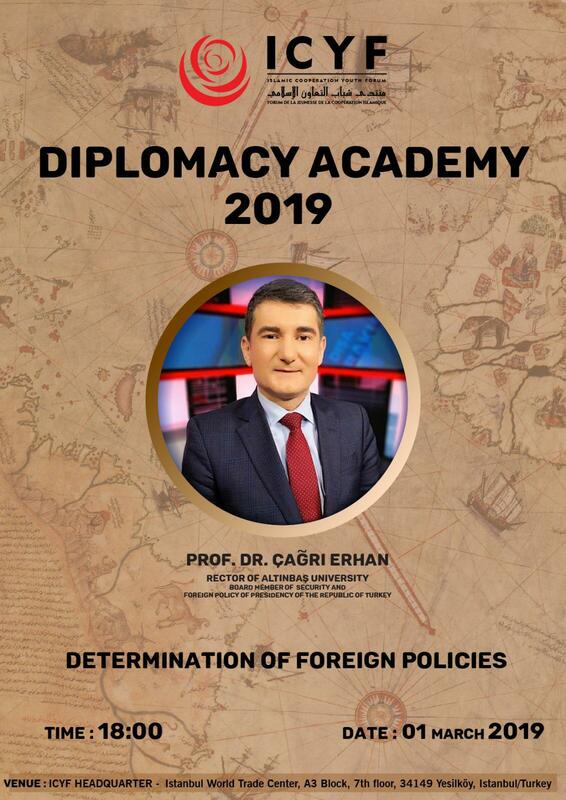 Erhan Çağrı, Rector of Altınbaş University and Board Member of Security and Foreign Policy of Presidency of the Republic of Turkey as the second speaker of Diplomacy Academy on the topic of “Determination of Foreign Policies” on 1st of March.